UK street art blog Hooked are set to offer an interesting insight into East London’s streets, with walking tours of the Old Street, Shoreditch and Brick Lane areas, taking in some of the works of art along the way by some of the world’s most infamous artists. 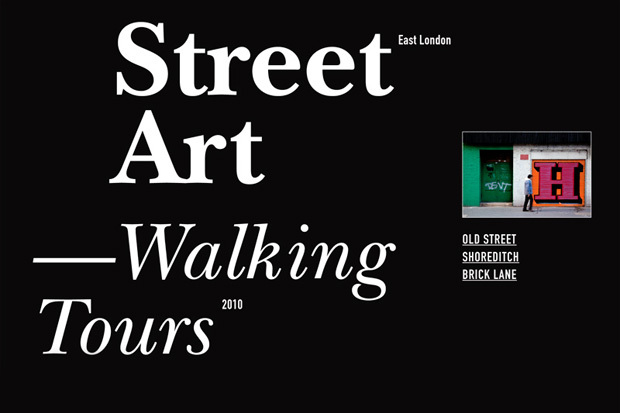 The tours will offer both London residents as well as those visiting the city, a chance to learn a little more about the pieces that grace our streets. On the walk you can expect to see pieces from Banksy, D*Face and Invader along with countless others on a constantly changing canvas. The next tour takes place this Saturday (31st), and more will follow on August 14th, August 28th and September 4th. If you’d like to join in, register your interest at hookedblog[at]hotmail.com. Find out more about what you’re likely to see at HookedBlog.